Southern Lifestyle Development (out of Louisiana) announced the construction of a $400 Million mixed-use development, to be called Waterton. The development will be located, in part on the empty lot behind Dogwood Festival Marketplace. The project is scheduled to break ground May 1. Daigle said initial construction, mainly dealing with infrastructure, will take approximately one year to complete. The project is a 10-year buildout broken into multiple phases. The first phase, scheduled to begin in spring 2019, includes all of the commercial development and 150 of the 500 homes. All of phase one will be built on 70 acres. The homes will range in style and size from cottage to estate, Dailgle said. Home prices have not been released. Community Bank will be the "anchor" of the mixed-use development, Daigle said, and will be surrounded by retail stores and two yet-to-be-named waterfront restaurants. There will be residential areas in Waterton ranging from Estate Homes (think Oakridge/Lineage Lake) to Garden Homes (think Manship). In addition to Community Bank's headquarters, there will be an emphasis on entertainment, food and beverage. Two wharf style restaurants are planned to overlook (what will be called) Rhoads Lake. Here is the MS Business Journal's article on Community Bank's new headquarters. Southern Lifestyle Development is the same company that brought River Ranch to Lafayette, Mississippi. I hear folks in the business community in Lafayette refer to the town's history in terms of Pre-River Ranch and Post-River Ranch. This could be a game changer for Flowood. Check out the River Ranch Development website to get a glimpse of what's in store. Rankin County Schools fared well at the Regional Tournament for the High School Mock Trial Competition. Of the eight teams moving on to the State Championship Tournament are: Brandon High Team 1; Brandon High Team 2; Hartfield Academy; and Jackson Prep. I had the honor to judge the Regional Tournament. Let me tell you, the future of my profession looks bright. 4. Renewal of contract for shoreline herbicide spraying contract with Weed Pro. 5. Approval of alcohol permits for Barnett Reservoir Foundation’s 2018 calendar of events. 6. Award of contract for Madison Landing Boating Facility Breakwater Project. 7. Award of timber sale in Madison County Compartment MXIc (pas-as-cut). 8. Award of timber sale in Madison County Compartment MXc (lump sum). 9. Renewal of contract for beaver control services. 10. Approval of FY2017 Audit Report. 11. Approval of Per Diem and Travel Report for December 2017. 12. Approval of Cash Balance Report. 13. Approval of January 2018 Docket. 16. Next Regular Meeting February 15, 2018 at 9:30 a.m. at PRVWSD Main Office. Join us in packaging and boxing 35,000 meals for the hungry. Unloading and setup begins at 8:00 a.m. in our Christian Life Center ("CLC"). We'll start packaging meals at 9:00 a.m. Everyone should be on their way home by Noon. There will be tasks suited for every age and skill level. Childcare will be provided for those 3 and under. Service club members can get credit for hours worked. Excellent opportunity for Boy and Girl Scout Troops. The PRVWSD board meeting scheduled for tomorrow, 18 January at 9:30 a.m. has been cancelled due to the winter weather conditions. A special meeting of the PRVWSD board of directors has been called for Thursday, 25 January at 9:30 a.m. Slim Chickens is coming to Ridgeland at 819 Lake Harbour Drive (between Mugshots and McB's). I've never eaten at a Slim Chickens, though they are prolific West of the Mississippi. Their menu offerings look substantially similar to Zaxby's and Canes. If any readers have sampled Slim Chickens, tell us how it is different. Rankin County Public School just sent out a tweet that school is out tomorrow. Due to dangerous road conditions and low temperatures, the RCSD, after careful consideration and consultation with local authorities, has decided that all schools and offices will be closed tomorrow, January 17th. Today's committee meetings are cancelled. It looks like the state, and quite a few private businesses, are shutting down. Stay warm. Stay safe. Looking for something to do inside today while the kids aren't in school. Remember, the Mississippi History Museum and the Mississippi Civil Rights Museum, both side by side, have free admission today, courtesy of the Kellogg Foundation. This is in honor of Dr. Martin Luther King, Jr. So, if you want to brave the roads, this is an option. Updated: The lineup is out. Go to brandonampitheater.com for details. Dave Matthews Band, people. Homerun, IMHO. BRANDON, Miss., C Spire, which has a reputation for bringing some of today's top musical talent to Mississippi, has signed a contract with the city of Brandon to be principal sponsor for all music concerts at the new, 8,300-seat capacity outdoor amphitheater when it opens in the spring. Terms of the deal were not disclosed, but the agreement calls for the Mississippi-based diversified technology and telecommunications company to sponsor concerts at the facility as part of its C Spire Concert Series program. Brandon Mayor Butch Lee and the Board of Aldermen approved the agreement at a regular meeting last night. "We're excited about partnering with the city of Brandon at this new, high quality, fan-oriented music venue as part of our C Spire Concert Series program," said Jim Richmond, vice president of Marketing for C Spire. "Our customers love music and this will ensure that we continue to connect with them in a meaningful way. "Red Mountain Entertainment of Birmingham will handle bookings for the C Spire Concert Series program. Artists from a variety of music genres and backgrounds are expected to perform at the facility. "We expect the venue to attract top-flight entertainment from all over the U.S. and internationally," Richmond said.The Brandon Amphitheater sits in the middle of a 250-acre park, The Quarry, near downtown Brandon that will feature a running, bike and nature trail system, a dog park, a new baseball park facility and other outdoor amenities. The amphitheater design and construction is patterned after several other successful music venues in the Southeast region. In recent years, C Spire has staged a series of highly successful outdoor music concerts in Madison County near their corporate offices featuring artists ranging from Darius Rucker and Miranda Lambert to Florida Georgia Line and Kenny Chesney.The concerts have provided a major economic boost to the region over the last four years – generating over $3 million in spending by more than 35,000 country music fans who travel to the area from other parts of the state, the U.S. and overseas and stay at local hotels, shop at local businesses and dine in local restaurants. Follow along with the announcement on Twitter, here. Say what now, what now? 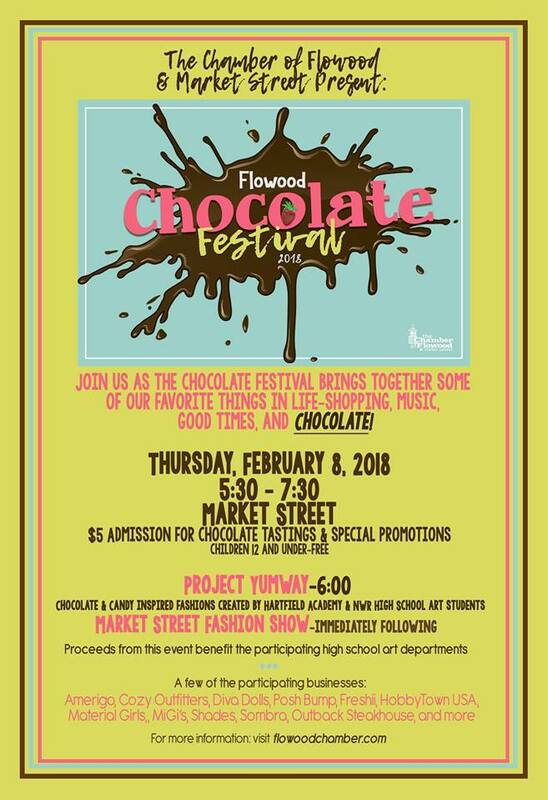 Chocolate tasting and special discounts from local vendors, Project Yumway, live music and more! I will be there to help. If you qualify, please contact Steve Edwards as soon as possible to set up your appointment. Registration is now open for Northwest Rankin Athletic Association Baseball. Registration runs until February 4, 2018. Ages range from 3 to 15. All the details are here, including rules, pricing, etc. Softball registration is also open until February 4, 2018. Details here. There is a one day camp at Northwest Rankin High School on January 20, 2018. Session 1, concentrating on offense, is from 9 a.m. to noon. The defense session starts at 1 p.m. and ends at 4 p.m. $20 for each session. Registration info about the Softball camp can be found here. 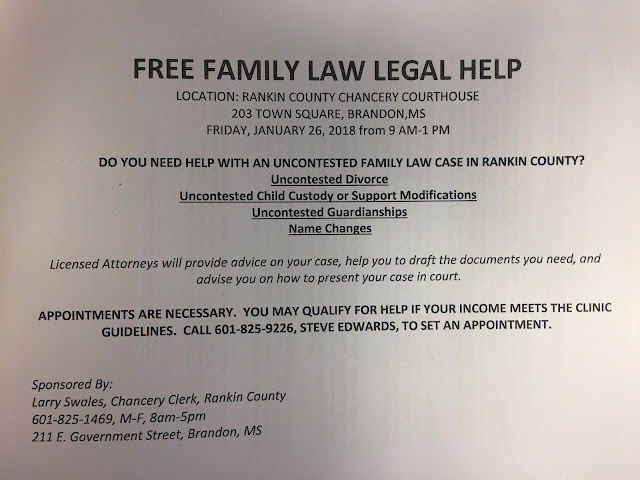 You can head over to the official Rankin County map to see the house lines. The special election will be February 20, 2018.